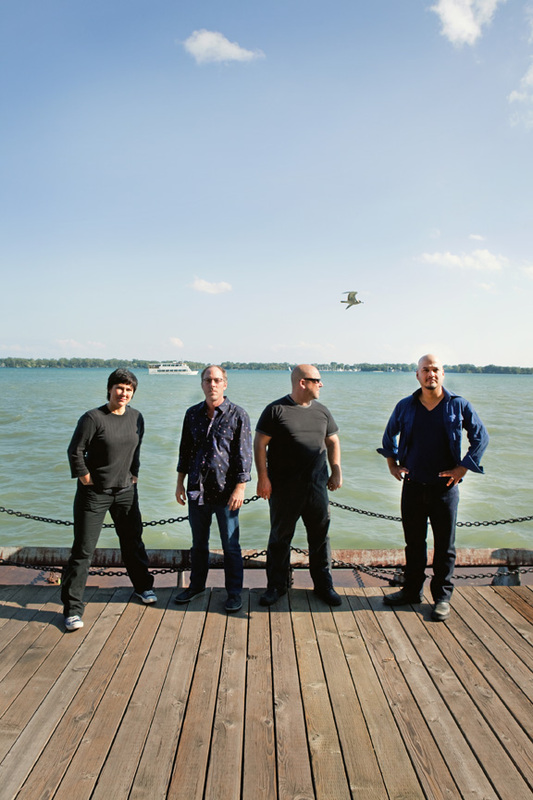 Tweet The Pixies are getting ready to do the final run of their two year tour celebrating the 20th Anniversary of their landmark album “Doolittle.” They’ve been back together since 2004 and have been touring on and off since then. 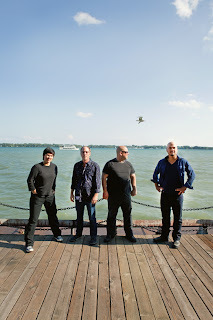 Recently I got the chance to chat with guitar player Joey Santiago about the current tour, what it means to be one of the main influences for 90’s alternative music as well as the possibility of a new Pixies album. Check out the chat below. Zoiks! : Hello, is this Joey? Joey Santiago: Yeah, it this Bob? Z! : Yeah, thanks for taking the time to do this. JS: Yeah, what is Zoiks!? Z! : It’s an online entertainment magazine that deals mainly with comedy and music. Z! : You’ve been on the 20th anniversary of “Doolittle” tour for about two years, how has the show evolved over the last two years? JS: Well, we’ve probably gotten tighter. Nothing really gets evolved except the encores. The B sides first and then “Doolittle” front to back. I still don’t know the set list (laughs). Z! : For this leg of the tour you decided to skip the big cities and hit the in between towns, how did that idea come about? JS: Well it’s the lost city tour. We haven’t hit these cities and I guess there was a demand for it, so we’ll do it. We’re old school, we give the people what they want. Z! : Is this the last leg of the 20th Anniversary Tour or will it continue into 2012? JS: No that’s it. We don’t have anything planned for 2012. Z! : It seems like with every interview I read from you guys the status of new Pixies music changes. Sometimes it’s maybe, other times it is probably not. At this point in time what is the status? JS: We’re in the chitchat phase, just chit chatting about it. I know we’ve buried the hatchet, but people forgot the other one (laughs). It’s the old ball of wax. Z! : Is there a level of anxiety that weighs into your decision to do a new album? Do you feel you have to live up to your old material and legacy? JS: If we were to do it, we can’t think about that but, uh yes. Z! : There are hundreds of great guitar players, but what many of them lack is an original style. Where does your style come from and how would you describe it? JS: My style came from probably just being aloof and not really technical but more of a soundscape. I do arpeggios here and there, but when I do the crazy stuff it’s just a vibe. Let me see where that comes from. The first solo I learned was a Donovan solo, probably done by Jimmy Page, it’s really weird, “Sunshine Superman” (laughs) It’s a pretty odd solo. I think it’s outside the box. Z! : Is that style something you consciously developed or did it more less just happen? JS: It’s just something that happens. It’s natural. It’s like asking how I walk. JS: Well that would be one of them, the Donovan phase with the three Zeppelin dudes. Obviously the Beatles, Jimi Hendrix stuff like that, Jimi Hendrix definitely. He bends the notes perfectly and I don’t (laughs). Z! : Who are you listening to currently? JS: I’m kind of digging this band called Battles. It’s kind of out there, it’s time signatures in that band, and the guitar parts are really cool. I like Arcade Fire but I just like them for the vibe. Black Sabbath, definitely Black Sabbath. Let me go through my list here. Definitely not Boz Scaggs, Broken Social Scene I like. Built to Spill, stuff like that and definitely the Stranglers now. Explosions in the Sky I like, I like them a lot. Oh and AC/DC, can’t forget AC/DC. Z! : When you were first starting out, hair metal was the popular music of the time. What made you and the Pixies go the direction you went? JS: It’s just the anti movement. I’m not as technical as that. I think it was an over load of that stuff. There was so much of that. Some of them might have a melody line, but I can’t hear it, I don’t hear it. It’s too fast. Not enough riffs, maybe the rhythm has riffs, but that’s not my job. Z! : You mentioned Black Sabbath, The Pixies are to late 80’s and 90’s alternative music to what Black Sabbath is to heavy metal. Is that something that you’re able to grasp and appreciate or is it something you try not to think about? JS: I try not to think about it. I think, if I can speak for the rest of the band, we just don’t think about that stuff. We never did back then. We just don’t think about it. Z! : What is different about the band this time around? JS: We definitely appreciate everything now, the way the fans react to us. They reacted that way before but now it is just blowing us away, because we’re playing some big places, in Europe anyways. This Lost City Tour we’re just playing beautiful theaters. Z! : When you guys reunited in 2004 did you realize how big you were? JS: Not really, the deciding moment was the invitation to go to Coachella as like the second bill. Z! : What’s it like to look out into the audience after all these years and see kids out there that are fans? JS: It blows me…well it blows me away, but I’ve seen it so many times. Sometimes there will be a twelve-year-old kid with his father and I think both of them made a decision to be there, because the kid obviously loves it and then the father nudges the kid saying, ‘look at this.’ I see all that stuff (laughs). It’s flattering, definitely flattering and mind-boggling, they weren’t even born.